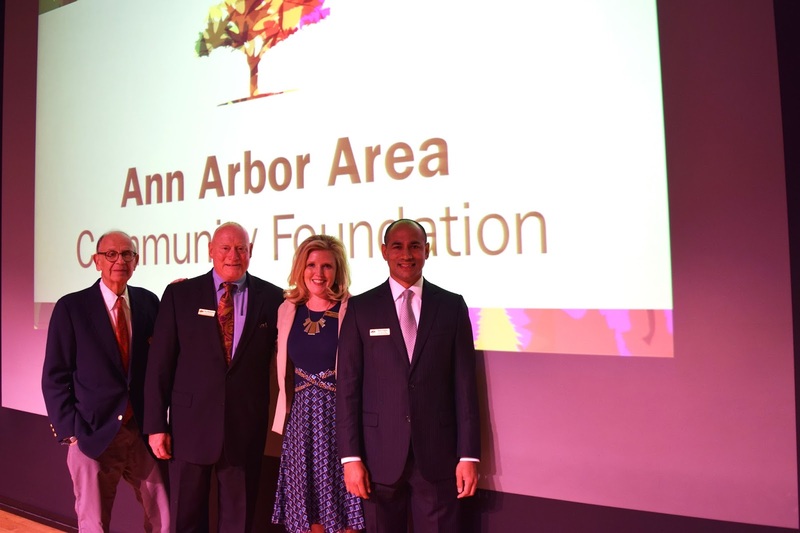 From AAACF’s 2017 Annual Community Meeting, where President & CEO, Neel Hajra, announced donor’s gifts that made impact investing possible in the form of a nonprofit loan program. Pictured left to right: Brian Campbell, AAACF Board Treasurer, Tim Wadhams, current Board Chair, Michelle Crumm, current Immediate Past Chair, and Neel Hajra. Take the foundation’s work with scholarships as an example. Washtenaw County is home to five institutions of higher learning and exceeds the state and national rates of population with advanced degrees. But when it came to helping kids in the community access those institutions, the foundation’s existing scholarship funds were too tailored and small. For the most part, they didn’t help the most at risk populations get to and through college.